The following article was initially published on Jan. 22, 2019 via ISU Startup Factory. AMES, Iowa (January 22, 2019) – The Iowa State University Startup Factory today announced its sixth cohort of entrepreneurs entering the Iowa State-based program. Twelve teams joined the program, starting with an evening kick-off reception held Thursday evening at the ISU Alumni Center, followed by a full day of programming Friday at the Startup Factory’s space at the Iowa State University Research Park. 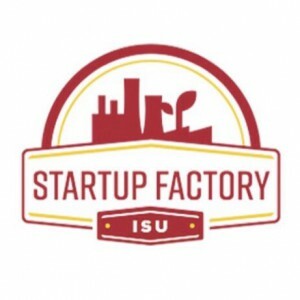 The ISU Startup Factory is a 52-week intensive program that provides an avenue for students, faculty, staff and community members to create technology-based, platform businesses. Entrepreneurs in the program receive formal training, resources, and access to a network of business mentors, advisors, counselors, and investors in two 26-week blocks: the first a formal curriculum centered on business validation, and the second, customized to their individual business needs. Spalding said the Startup Factory program is seeing signs of real traction. Spalding also recognized the accomplishments of cohort members who have reached “Two-Comma Club” status. Spalding said much of the credit for the program’s successes to-date are due, in part, to the program’s leadership and diverse partner network. “Together with the Startup Factory’s network of mentors, partners, investors and founders, we’re excited to support the next cohort of entrepreneurs on their startup journey,” he said. 3D Health Solutions, Inc. - Founded by Karin Allenspach, Albert E. Jergens and Jonathan P. Mochel, is a 3-dimensional intestinal organoid assays for drug testing to improve predication of pre-clinical bioavailability tests. Auchus Outdoors - Founded by Richard J. Auchus, creates compact, minimalistic camping units for adventurous outdoor enthusiasts. Gym-N-Eat Crickets LLC - Founded by Shelby Smith, is a producer of high protein, whole-food convenience foods from farm-raised crickets for human consumption. HomePainter – Founded by Jacob McClarnon and Anthony House, is an online platform developed to revolutionize the residential painting experience. IdRamp – Founded by Mike Vesey, is a farm-to-market security and information platform for quality assurance and transparency across diverse agriculture value chains. InkFlex Devices - Founded by Metin Uz and Surya Mallapragada, has developed 2D and 3D, high resolution circuits on rigid and flexible substrates, using cost-effective and green processes for a variety of electronic applications. Kimle Aquaculture - Founded by Jackson Kimle and Matthew Ellis, produces algae-based recirculating aquaculture systems. Sublime Stericeuticals Corporation - Founded by Shawn Stimson and Joel Lennon-Meyer, uses a novel, highly efficient process in the manufacture and packaging of freeze-dried drug products. Tres Mentes Gourmet Foods Inc. - Founded by Phillip Campos and Angelo Campos, is creating the gold standard of salsa. UAnalytics – Founded by Shafqat Ali Shad and Ali Jannesari, is developing embedded AI driven UAVs to execute business operations in the mining industry. Vectr Bio - Founded by Erik Dunteman, is a data platform for cannabis breeding. YieldLogic LLC – Founded by Priyank Pradeep and Marc Brittain, uses remote sensing and machine learning to help farmers, co-ops and companies proactively identify soil and crop health status such as deficiencies and diseases. Establish in 1987, The Iowa State University Research Park (ISURP) is a real estate development community closely affiliated with Iowa State University. ISURP assists both established and startup companies in connecting with Iowa State’s vast infrastructure to grow their enterprises; whether through students, research entities, equipment or a multitude of other resources. ISURP is currently home to 87 companies and research centers and 11 affiliates, employing 2,155 and 135 people, respectively, and occupies approximately 800,000 square feet of commercial real estate on 400 acres. ISURP recently expanded and now boasts 400 acres of developable space, which will include tenant amenities, a park and multi-use trails. For more information on ISURP, call 515.296.4204 or visit isupark.org. For more articles by the ISU Startup Factory, click here.